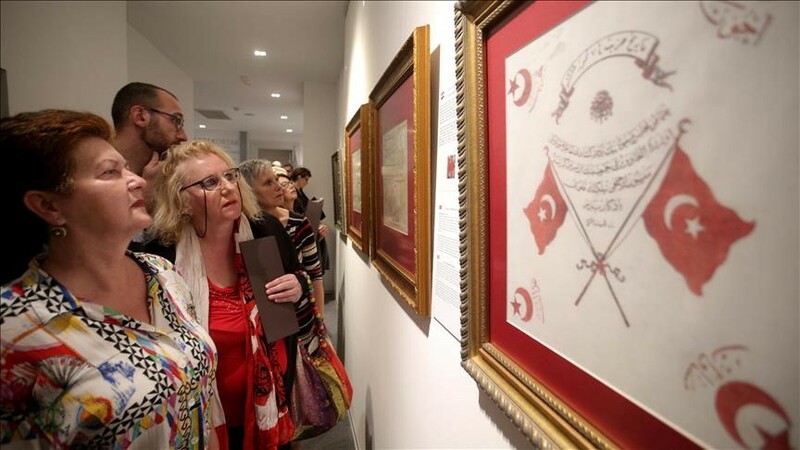 The exhibition 'Commemorative Handkerchiefs and Postal Stamps' by O?uz Aydemir has been opened in the premises of the Turkish cultural center Yunus Emre, reports the Anadolu Agency. The original commemorative handkerchiefs and a series of postal stamps from the private collection of O?uz Aydemir have been exhibited. 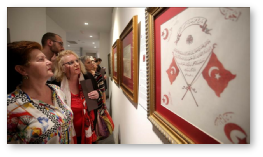 Ambassador H?zlan found the exhibition original, beautiful and significant for the presentation of the Turkish culture in Croatia. He pointed out that the author of the exhibition and collector O?uz Aydemir is the true cultural ambassador of Turkey to Croatia. He also said that Aydemir has "an eye, especially for places where Turkish and Croatian culture and history touch each other." He announced that Aydemir, after a book about the Turkish bridge in Osijek, has been working on publishing a book about Antun Vrancic, who was a prominent Croatian and Habsburg diplomat during the negotiations with the Ottoman Empire.